Do you REALLY want to hatch out one of these things? Loosely – although perhaps no more loosely than most d20 creatures. The Nicora is primarily derived from the Nicor (literally “water monster”) – with a bit of a linguistic tweak from french (where “Nicora” means “Victorious”) and medieval latin (Nocturna, night). By some stretch of linguistic mangling, it could be taken to mean a monster of cold and water – thus winter and the threat of starvation. Thus the Nicora would bring with it crop failures, unseasonable winter storms, rust, decay, and famine. Those who approach or who fall under it’s gaze would suffer the effects of cold and starvation, probably killing weaker creatures fairly quickly. If one got loose in winter, it could be very bad indeed for any small, isolated, area. Sealed off by mighty drifts of snow, subject to constant storms, swiftly-lethal cold, with food supplies dwindling, and plagued by a creature who’s touch meant freezing to death almost instantly, the entire place would soon be no more than a frozen larder for a perpetually-ravenous monstrosity. 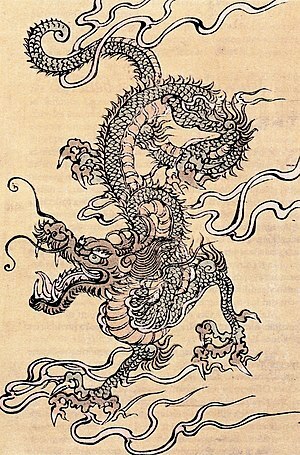 The Sarrphim are derived from the Old Testament (Seraph, “to burn” or “a fiery, flying, serpent”). Other descriptions noted that whoever laid eyes on a Seraph would be instantly incinerated due to it’s immense brightness and heat. They later developed associations with angels (as the Serpahim, including Metatron, Kemuel, Nathanael, Gabriel, and Lucifer) and with purification, perhaps due to the purifying nature of fire. A Sarrphim would tend to set things on fire, radiate fire, burn away incoming missiles, and to automatically dispel (“purify”) magical and psychic effects in the immediate vicinity. An escaped Sarrphim is likely to simply set fire to everything in the area and “purify” it of the works of mortals. Of course, since its presence will disrupt protections from fire, anyone trying to stop it will have to deal with things on a perfectly normal basis. The Chimeria is a straightforward greek classic, and simply mixes the attributes of a variety of creatures into a horrifying monster – and, in this case, one that (as an emobodiment of chaotic magic) can transform or transmute anything that approaches it. I’d expect the lair of a true Chimeria to be be surrounded by horrifyingly transformed perils and creatures, and for it to continiously try to transmute anything in it’s immediate vicinity. Actually tracing down a creature that can look like almost anything, and which transforms everything around it into lethal monsters and dangerous environments, is going to be tricky – but until you do, it’s going to be a mobile blight on the world. The Nekrom really has no classical direct basis, and was simply taken from Necro and Necromancer – mostly because most mythic embodiments of death are more forces than creatures. A Nekrom can be expected to spawn random undead nearby, to cloak itself in impenetrable darkness, to have a death (or perhaps aging) gaze, touch, and aura, to tend to return from death itself, and to destroy life wherever it passes. Of course, given that everything that goes near a Nekrom is likely to die, and then rise as an undead monstrosity to make more trouble, it’s going to be very hard to follow one – or to find any witnesses as to what’s going on. As far as statistics go, a True Basilisk could reasonably be taken as a standard Basilisk (or perhaps Abyssal Greater Basilisk with either a more powerful ritual or more time to grow) – but rather than a gaze attack it would poison the air, earth, and water, about itself for some time after it passes. Simply approaching it would require saves every round against the listed conditions, touching it with a weapon would let it inflict more lethal poisons, and actually letting it bite, touch, or breath on you would be likely to be fatal. It’s poison would affect other things as well – such as magic and psionics; I wouldn’t count on simple spells holding it’s venom up for long or holding it for more than a few moments. If you’d like a really nasty little adventure, I’d suggest an alchemist who found his getting too large and powerful, tried to kill it – and wound up letting it get into the sewers beneath a town. Now toxic fumes are drifting up all over, the town is sickening, the fish in the lakes and streams the sewers empty into are dying, and the heroes will need to wade through rivers of toxins and maddened, dying, wildlife to deal with the situation. A truely vile (or highly useful) version of the chimera would be one that not only mutates but also splits creatures into several. This allows the formation of new species (not that d20 doesn’t allow funky hybrids). Gods could drop a few on new worlds to make them more interesting. The nicora works well with A Song of Fire and Ice type setting where winters are several years long. When they migrate, the cold stays. Winter ends only when the creatures are driven back (north, south, up into the mountains, wherever). Frost giant alchemists may be their source, though nicora would destroy them as well. The sarraphim makes me think of a druid created version that causes the works of man to decay or burn away. A superweapon they have no desire to use except against those cities that embrace necromancy (or other unnatural powers). Those do all sound like good fun – and that is one of the big advantages of ritual magic for a game master; it’s so easy to start something you can’t control with it – as opposed to spellcasting, where anything you can do you can usually control just fine and do over and over again if you like. I think I might up the ritual difficulty for the creature-splitting Chimera though. Still, if it’s a god making it, the DC doesn’t make a lot of difference. And I congratulate you! I don’t think that even I have ever combined “Druid” and “Superweapon” in one paragraph… That is a very entertaining thought! Well, druids are (were?) an organization, if a very loose one. There should be some people within the druid hiarchy that would want something to death with the unnatural on a massive scale (especially as humanoid cities grow). And some of their spells do have superweapon qualities (like Creeping Doom and some of the quest spells from 2e). Anyways, a much more insideous version of the chimera could be based on an idea I had for the chaos beast. Survivors of their attacks would be mentally broken (ie the wisdom drain) and their offspring would be mutants. A chimera that only affects things in the shell or womb would be more terrifying IMO. A female character would never know if she was tainted until she had children. “Well, druids are (were?) an organization, if a very loose one.” Not in Cemar, and in any ase they weren’t terribly interested in stopped cities from expanding in any case. If you would like to import them into normal DnD, then by all means do so. No doubt some evil Druids will be happy to unleash some terrible menace. – even in Cemar that kind of left the field open for weird sub-sects of Druids, secret druidic societies, organizations and hierarchies, and general complications. Would you like to do some of the setting notes in article form? That would be an interesting series, and it’s always a shame to let stuff vanish into the old files permanently. Well, real-world druids certainly were an organization. Sadly, since Legends of High Fantasy never did sell enough copies to fund the book on Cemar’s lands and peoples, it’s certainly fair enough to default to the usual d20 druid hierarchy for a game there – even if you aren’t just using Legends as a sourcebook for your own settings (which seems likely). I think, that for most games, the “affects offspring” sort of peril is best used as a background element and a source for mysterious outbreaks of mutants. It’s sort of sad, but an awful lot of d20 games don’t seem to last long enough for the characters to worry about offspring. Perhaps I shall put up some notes.